SESERV aims to facilitate discussion and debate on Future Interent Socio-Economics (FISE) by bringing together those who study and those who build the Future Internet. The outcomes will be a multidiscplinary community of researchers who not only understand Europe's contribution to the Future Internet but also what research priorities need to be tackled to ensure increased European competitiveness. In this channel, we present the results of the FISE conversation. You will find information on community events, reports, publications, analysis and how conceptual frameworks can be used to support effective discourse between both technical and social science disciplines. SESERV's paper "User Involvement in Future Internet Projects" has been recently published in The Future Internet Lecture Notes in Computer Science Volume 7858, 2013, pp 310-322. 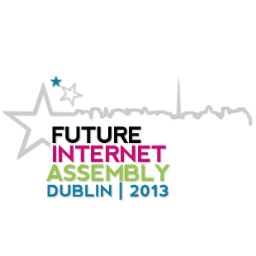 "To determine actual attitudes and practices of those in the Future Internet industry towards user involvement, delegates at the 2012 FIA participated in a focus group and a survey. Continuous user involvement is highly valued and expected to maximise the societal benefits of FI applications. However, just over half of the FI projects apply a user-centred approach, and a large number of survey respondents admitted to being not very knowledgeable about standard user-centred design tools or techniques." SESERV coordination project has defined a systematic approach for analyzing and assessing the importance of socio-economic tussles in the Internet. The main idea is to make sensible predictions about the behavior of major stakeholders in several scenarios, each scenario reflecting candidate implementations of the desired protocol function. We argue that selecting the features of a technology in a more holistic way, by taking into account all major socio-economic factors would lead to more attractive outcomes and increase the chances of that technology to be adopted in the long-term. Why use Tussle Analysis in the first place? How to perform the Tussle Analysis methodology when designing an Internet technology (such as a protocol, application, system)? The answer to the first question describes the pros and cons of Tussle Analysis, for a wide set of Internet stakeholders. SESERV believes that analyzing the anticipated tussles can help in better understanding major stakeholders' incentives. Furthermore, by following Clark's design principles, developers can tackle with conflicting incentives and increase their chances for building a long-term successful technology. However, it is true that taking into consideration the important socio-economic aspects of a technology can increase developers’ cost significantly. The main argument comes from Clark again; “fear and greed”. Developers compete with each other and thus will have the incentive to adopt tools and methodologies that make their technologies more attractive. In a similar line of thought, tussle analysis can be used as a strategic instrument for standardization bodies, research funding agencies and policy makers when selecting on which technologies to focus standardization efforts on, or to be funded (giving incentives to technology makers to deal with the most critical functions). The second question explains the steps of the proposed methodology, providing methods and tools suitable for each step as well as taxonomies that can act as a starting point. Furthermore, the methodology is applied to a case study from a FP7 European research project, called ULOOP. The new NoE FLAMINGO started on Nov 1, 2012 and integrates the research of leading European research groups in the area of network and service management, including their economic, legal, and regulatory aspects, to strengthen the European and worldwide research in this area and to bridge the gap between scientific research and industrial application. To achieve these goals FLAMINGO performs a broad range of activities, such as the development of open source software, the establishment of joint labs, the exchange of researchers as well as jointly supervised Ph.D. students, the development of educational and training material, and the interaction with academia and industry to organize events and to contribute to (IETF, IRTF, and ITU-T) standardization. UZH will be a NoE partner and leader of WP7 on "Economic, Legal, and Regulative Constraints", thus, in a great position to leverage SESERV results and outcomes in those domains.